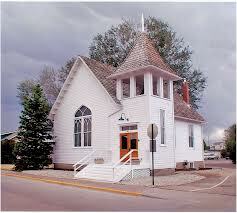 Ruth Memorial Chapel will turn 100 years on Saturday, May 18. The town and the Parker Area Historical Society are hosting the festivities at the Chapel located at 19650 W. Mainstreet, in downtown Parker. The celebration will begin at 10am and promises to have carriage rides, tours of the Chapel, refreshments and music. Remember to bring your camera for photo opportunities! For more information, please visit Parker, Colorado web site.